2 Bedroom Flat For Sale in Motherwell for Fixed Price £70,000. Centrally positioned upper floor traditionally built flat. This most substantial first floor apartment benefits from a private close and offers expansive accommodation comprising in full: private entrance with under stair storage cupboard, welcoming reception hall, impressive lounge with bay window formation, sizeable dining kitchen, two double bedrooms and bathroom. There is an additional external storage cupboard located at the entrance door. The property benefits from double glazing, gas central heating and new carpeting and fitted linoleum flooring throughout. 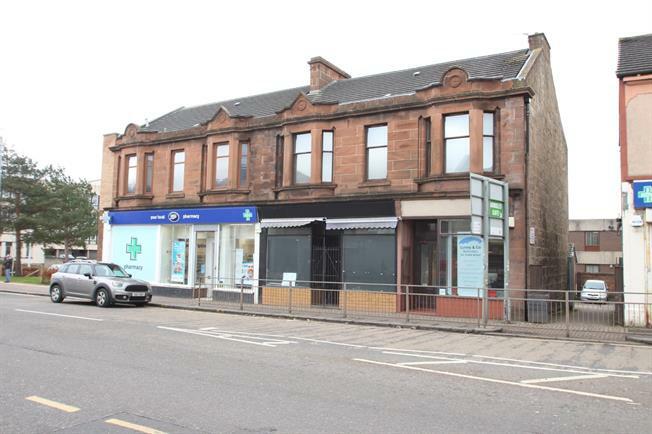 Set within the centre of Motherwell easy access is ensured to a wide variety of local facilities including town centre shopping and the adjacent train station. This traditional flat is of a size and style seldom available within the market with internal viewing essential to appreciate fully.